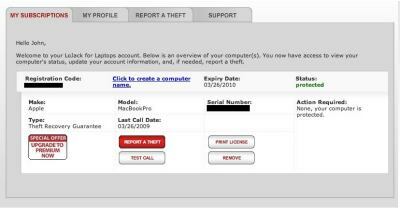 Many times a week, a Mac user experiences that sickening realization that a treasured MacBook has been lost or stolen. 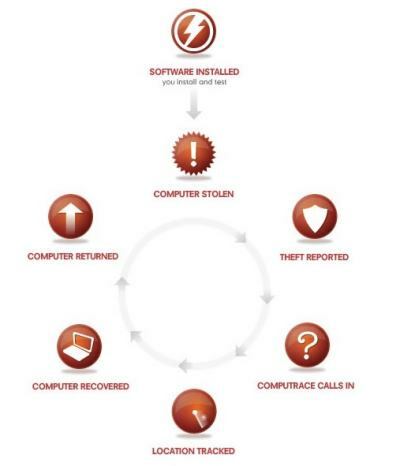 LoJack for Laptops from Absolute Software Corp. recovers about three out of four of the stolen computers and can initiate a remote wipe to protect sensitive personal or corporate information. It's an all too common scenario. Your flight has just pushed back from the gate, you're fiddling with your backpack under the seat in front, and you realize that your MacBook is still back at airport security. After panic and some subsequent aneurisms, you return home to find that TSA has no idea where your computer is. Worse, there's information on that computer you'd really like not to be in the hands of a thief. LoJack for Laptops from Absolute Software installs software on your Mac that can't be deleted. 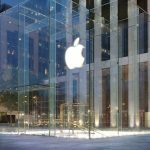 It assists with the recovery of a stolen Mac so well that the company has been able to recover about 75 percent of stolen Macs. This software, is persistent, meaning that it can rebuild itself and is not affected by a complete disk reformat or an NVRAM reset, which simply resets firmware variables. Once installed, the software is there to stay unless the customer plans to resell the computer and requests that the software be removed. That's done remotely by Absolute Software. If the computer is lost or stolen, and subsequently appears on the Internet, the hidden LoJack software can be used to identify the physical location of the computer by various means. After proper police procedures are followed, Absolute Software and the victim coordinate with the local police to recover the computer and return it to the owner. The Standard Edition is priced at US$39.99 initially for a year, and each subsequent year renewal is also $39.99. The Premium edition works the same, but is priced at $59.99. In a one year subscription, the number of recoveries is limited to two. For a two year subscription, three recoveries, and so on. The Premium Edition offers a service, which the customer must authorize in writing, to remote wipe the computer a various levels. At the highest level, all files, including the OS itself, are deleted. Absolute Software offers a Service Guarantee to help give you peace of mind in the event your computer is lost or stolen. If a computer protected with Absolute’s Premium edition is stolen, Absolute will recover it or perform the data delete service. If for whatever reason it is unable to do that you may be eligible to receive up to US$1,000. Amount received for lost computer varies based on age of computer, and is up to 90% or $1000, whichever is less. As mentioned above, the installation is irreversible by the user. The product comes on a standard .dmg file and the installer is just a Mac OS X application. Next, comes the service agreement, which can be printed and must be agreed to. It's a 35 page PDF file, and I recommend reading it all because it spells out in detail just what the customer needs to do if the computer is stolen, deadlines, and procedures, and exactly what Absolute Software will do for the price paid. I read most of the 35 pages, and my estimation is that the agreement is designed to describe in detail what's expected of both parties during this stressful period, and it's designed to protect Absolute Software from misunderstandings. I didn't see it as weasel worded or attempts to escape responsibilities. If you want to read it before you make a purchase decision, it's posted on the company's Website in full. 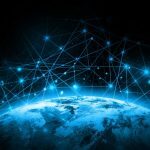 During the installation process, the customer supplies the Product Registration Code, personal contact information and a password. There are several stages here, including some innocuous marketing questions, and then the user gets a chance at a final commit to the install -- or cancel. 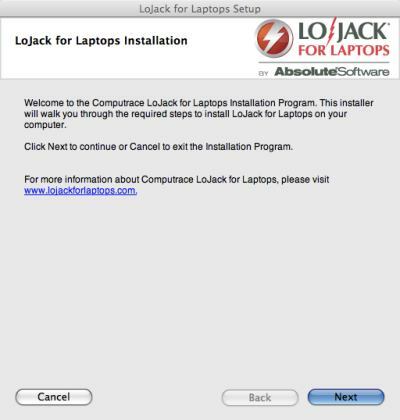 If the user commits, the license is activated and the LoJack software is installed. At this point, ann account is created for the user and one can log in, look at personal details, the profile of the coverage, change password, and submit a theft report. Also, an e-mail is sent back to the customer with the company's phone number and other information. This e-mail can be printed out and stored in a safe place. If the computer is stolen, a police report must be filed. Then, the customer, armed with a copy of the police report, simply calls Absolute Software to kick off the process shown in the diagram above. During install, it's recommended that firewalls and anti-virus software be disabled to facilitate the Internet communication during the registration process. After installation, Absolute says that the user can return to the normal security settings and LoJack for Laptops will take care of itself, working behind the scenes. The installation process is simple, so there's just one sheet of paper in the CD case to guide the user through the process. That's really all there is to the install. However, one can consider the Service Agreement the real documentation in this case -- due to the nature of the product. Also, because the install is so simple, there really isn't a user experience in the usual sense. In fact, the real user experience comes when one has a computer stolen and has to follow the steps required in the service agreement. I'd recommend printing that out as well, just like an AppleCare agreement, and putting it in a safe place, such as a safety deposit box, along with the e-mail that arrives after installation. There are many Success Stories posted on the Website that tell describe how customers were able to recover their computers. It doesn't take long to realize, especially for students, how easy it is in that environment, dorms or student apartments, for valuable notebook computers to end up missing. This is difficult software to assess on a quantitative basis by its nature. 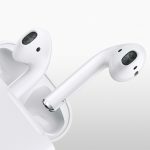 However, I can report that in preparation for this review, I had a myriad of technical questions about the product that were explained in this review. The company's public relations representative was able to promptly obtain very up front and technical answers to my questions. 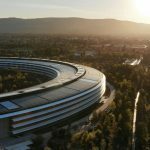 In addition, the multitude of success stories and a 75 percent recovery rate for stolen computers speak for themselves. Of course, there are other methods to achieve similar goals. One can buy an insurance policy protecting against theft and combine that with Mac OS X's FileVault. However, that method has its disadvantages, so it's up to the user to weigh courses of action. LoJack has its own merits, including the satisfaction (or necessity) of the physical recovery of the computer in most cases, and doesn't preclude other security actions the user may take. Accordingly, this is a product review of LoJack, not a security tutorial. When I give ratings, I start by assuming that the product is perfect and gets a 10 rating. 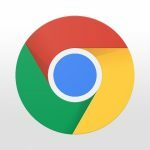 Then, in the course of the review, I look for things that could detract: problems in installation, poor documentation, an overpriced product, or a bad experience with customer support. I found none of these problems with LoJack. 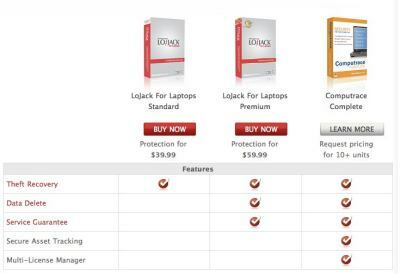 Final note: even though the product is called "Lojack for Laptops" it can be installed on any Mac that meets the system requirements above. A version is also available for PCs. Well constructed process for protection and recovery, flawless install and registration, high recovery success rate, fair price.